Ichabod Crane Makes Fox His ‘Sleepy Hollow’!!! Alex Kurtzman and Roberto Orci’s ‘Sleepy Hollow’ seres has landed at Fox, which will be put to pilot with Len Wiseman on board to direct. 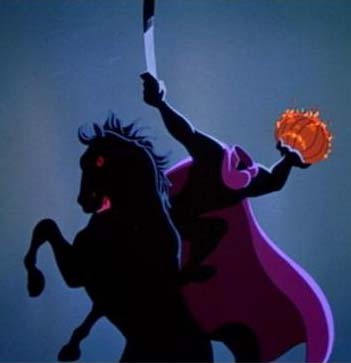 Kurtzman, Orci, and Phillip Iscove will pen the script that is a modern-day supernatural thriller based on The Legend of Sleepy Hollow. It will follow Ichabod Crane as he partners with Sleepy Hollow’s local female sheriff to solve the mysteries of a town ravaged by the battle between good and evil according to Deadline. 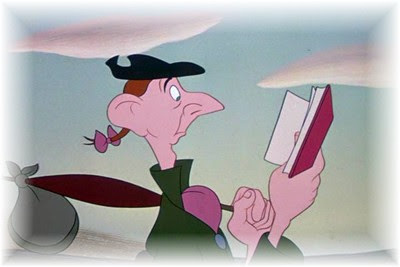 No casting decisions have been made yet, but my vote is for Crispin Glover as Ichabod Crane. Kurtzman is a big time producer with credits that include, ‘Alias’, ‘Fringe’, and the new ‘Star Trek’ films. And where there is Kurtzman, there is Orci, who has worked on virtually everything with Kurtzman since the beginning. Wiseman was responsible for the ‘Underworld’ films, the terrible ‘Live Free or Die Hard’ film, and the upcoming ‘Total Recall’ remake. With his name attached to this, I imagine nothing good will come of this. I love this story, but this story hasn’t been told well since the animated film. Tim Burton tried to tell it with Johnny Depp some years ago, but that was awful, and with Wiseman at the helm, I don’t see anything good coming with it, however with Orci and Kurtzman being showrunners, this thing might gain a cult following. I hope it does. This entry was posted on Saturday, July 21st, 2012 at 10:49 am	and is filed under Film, News. You can follow any responses to this entry through the RSS 2.0 feed. You can skip to the end and leave a response. Pinging is currently not allowed. « 12 Killed, 38 Hurt At A Colorado Midnight Batman Screening!! !